Duke Sewer Service Inc. is committed to protecting the privacy and confidentiality of people’s personal information. All personal information that is collected by Duke Sewer Service Inc., whether through this website or by other means, is managed according to Protection of Privacy Act. Duke Sewer Service Inc. does not gather any personal information while you browse our website. Some personal information, including, but not limited to; name and email address may be voluntarily provided by users of this site to request services such as; company contact, newsletter sign up, image download, online surveys and other similar services. Duke Sewer Service Inc. may also retain electronic communications you send to our customer service representatives, Webmaster, Web Administrator or other employees. These may be shared with other employees of the Duke Sewer Service Inc., as a means to continually improve customer service. Duke Sewer Service Inc. considers the individual information to be confidential, our policy is to not disclose any personal information gathered online to third parties unless disclosure is required by law, or for the purposes of criminal investigation. The Duke Sewer, Inc. does not sell, rent or transmit personal information to other organizations. 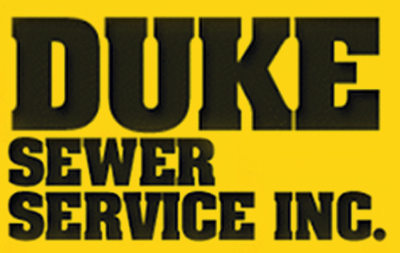 Duke Sewer Service Inc. website contains links to other sites. Duke Sewer Service Inc. endeavors to only link to other sites which reflect similar high standards and respect for privacy. 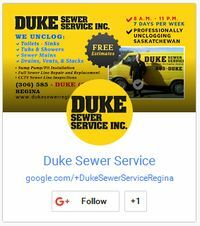 Duke Sewer Service Inc. is not responsible for the privacy practices or the content of other sites.